Back when I first bought Animal Acres I put out a Google Survey to get an idea of where the game currently stands, what people like and what people wanted to see updated. We have come along way since then so I thought it was time to put out another one as I plan even further updates for the game and it's future. All questions are optional so you can fill out some and not others, but the more that is filled out the more information I have to go on. Sorry for the down time some of you may have experienced the past couple hours. Seems like the server was overly full. It has been updated now. Sorry for the interruption! Mahjong Solitaire is officially released to the world of Animal Acres. 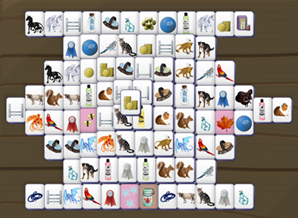 Earn Animal Acres Dollars by matching the different tiles together! You can earn up to 25,000 a day, but can play as long as you want. Reminder: Making or using anything to play the game for you is NOT allowed and is a bannable offense. I'll get a notice when an image is added, so I can check it out and confirm it fairly soon after. Generally within 24 hours, but depending on holidays or other events it could be longer. If you have submitted something before, please submit it again through this process so I can actually get it added in. Hope to see lots more Animal added in! So I changed our voting provider to use Top Web Games instead. Not really sure why the other one stopped working, but I don't even have access to the account on that site and it wasn't anything on our end. Unfortunately this does mean some changes. Instead of voting once a day, it's going to be a weekly vote. That is just how often Top Web Games allows. To help compensate the value of item you can earn has been increased as well as the monetary amount you can receive which will now be a minimum of 10,000. Since goals were setup with a once a day vote in mind, I am not sure how I will proceed there. If anyone knows of any other game listing sites that allow voting feel free to drop a link in the comments. I chose Top Web Games because it was one I found, there maybe something better out there or a possibility to sync multiple instead. New Goals System is Live! Goals system is officially live! You can now complete goals on the new system. The old system is still active, but will be closed down in the next couple days, so if you have any that you wanted to complete with that system you'll need to do that before then. As always let me know if there are any issues or problems you run into or have any questions. The goals system is almost ready to be released! The final things to complete before release are making sure the rewards are balanced along with finishing testing to make sure all the types and rewards function correctly. There are a few more types I will be releasing later as well! In the meantime take a look! Go to New Goals Overview You won't be able to complete any of the goals right now, but you can see them and look at what prizes will be offered for each one. This is a great time to bring forward any thoughts on the prizes and if any should be changed to be increased or decreased. Keep in mind once this system goes live, the other one will be removed, so you may want to finish up any you are close to now! Most have overlap anyway, but prizes do vary across them to account for the different system and there are more goals types as well. Hope you all are enjoying the season. We have been getting nice warm weather recently and I have been enjoying it. I added a new layout, hope you all enjoy it. It's currently been set as the default layout and otherwise is selectable as 'Peaceful Pines' from your profile. Enjoy! I did some minor tweaks to some of the other layout colors as well. And you may notice the Animal Acres header is different too. I was really satisfied with the older text so took some time to create a new one today. Hope you like it. Hello everyone. Hope you all are having a good spring time and had a nice Easter as well earlier this month. I have given out some May Flowers to everyone who has been active this past month. Their stats have been adjusted a bit along with an image update so hope you all enjoy! I have received a number of concerned emails about the shows not running. There was a bug in the script that was causing it to fail, I found it and eliminated it. Everything has been run and should be up to date now. Sorry for the delays on that, it was a very specific case that was not happening previously, but once it was hit the shows were stopped until I found it. There have been increasing emails over votes not registering. I've looked into this and I am not seeing anything on our end that is causing this. I will continue to look into it but may need to see about switching the voter website if the issue can't be resolved. I am sorry for all the missed items and coins you guys would have been receiving on this. To help compensate for the lost money from this and the shows I've sent out 25,000 animal acres dollars to anyone active in the past two weeks. Snowflakes will no longer be found around the site now that spring is hopefully here to stay. Hoping we have seen the last of the snow at least around here, until next winter. Keep your eyes peeled for butterflies though! Made some updates to the animal profile pages to hopefully be less clunky. This only affects your own animals and all the edit information. Harvesting has been converted to be a one click button option where you can click a keep button or sell button. Edit Details has been moved to a tab and there is a commerce tab where selling and studding out are handled. Harvest, Branding, and updating the Habitat are all on the main tab which is always loaded. Everything should function the same, just organized a bit better. Also updated so it lists what equipment slots are available or remaining still, so you don't have to try to remember or guess. 2nd update today so scroll down so you don't miss the previous news post. I know I am a bit delayed but Happy Thanksgiving to everyone. Enjoy a few pumpkins in light of the holiday! Trick or Treat bags are longer found on site so you'll have to wait until next year to get more. But snowflakes have made a return instead. So keep an eye out. You may also notice the Spooky theme has been removed as the default for now. Feel free to keep using it just set it by going to your profile and picking the Spooky theme option and you can continuing enjoying as long as you want. There is a new link on your animals profile page to view current and past shows, however this is only active from today onward. Previously shows were deleted after being ran, so the data is gone before that. Essentially this will let you see how you animals are doing in shows after they've ran! I've also updated how showing is handled a bit, nothing drastic but should be a better. However that does mean you'll want to keep an eye for any issues for a bit to make sure things are running okay and let me know right away if you notice something that seems off or if the shows don't run. I test locally, but it's not the same as having real players so some things could of slipped through. This change is also relevant because it was part of the goals update still in the works. I won't say anything else on that yet but hope to have something solid for you soon. Collect those trick or treat bags while you can! We are quickly approaching the end of the month and they won't be available much longer after that. New Spooky layout which is the current default and will be throughout October. You can manually select the Spooky layout by going to your profile page or you can keep previous layouts. The butterflies have migrated away as the cold front returns however you can now find trick or teat bags. Starting tomorrow check out the pumpkin patch with a bag and tow and you might find something of interest. Still working on the Goals Update as well. Just taking a while to get all the details finalized, but rest assured it's still being worked on. Hey guys there will be a chat party tomorrow Animal Acres time at 5 pm to 7 pm! Come join in on the fun and chance to get up some of your chat goals! I will be hanging out for some of this and will be hanging out prizes periodically to participants! Should be a great to hang out with some fellow Animal Acres Players. Edit: We had a nice time talking at the chat party and I just handed out the prizes to all our chat participants! Apologies for any downtime you may have experienced briefly in the past hour or so. Was doing some needed server updates. Looks like we are good to go though now and somehow managed to do everything that needed to be done smoothly with no errors! Love when things just work how they are supposed too. Hope you all had a great weekend! Giving out a few corral token to all those activate in the couple weeks just because. Enjoy!